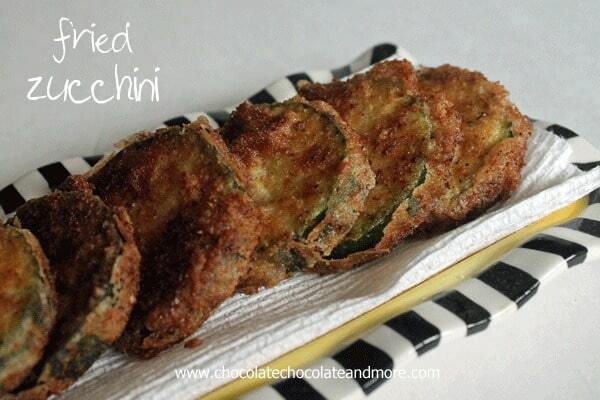 Fried Zucchini - Chocolate Chocolate and More! 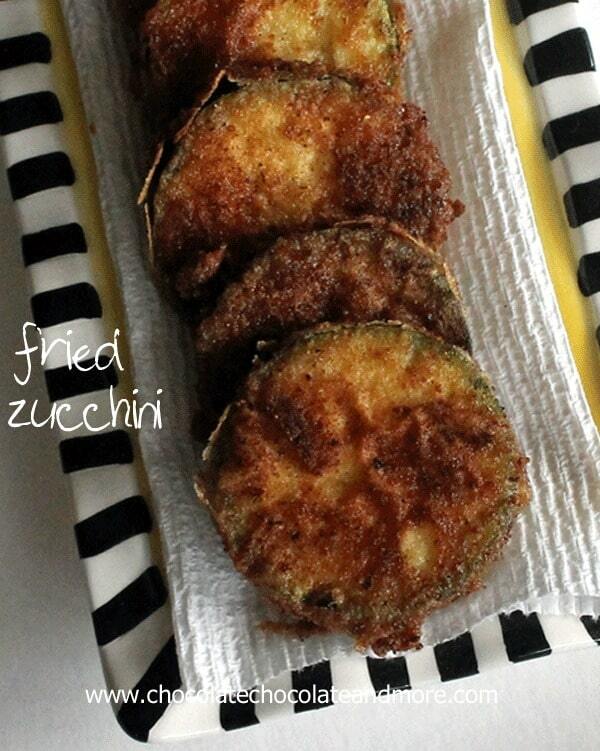 Fried Zucchini-straight from the garden, to the frying pan, to the table, to your tummy! Ok, don’t everyone get all nervous on me that this has no sugar involved. It’s summertime and that means wonderful food is coming out of everyone’s gardens. Well everyone’s except mine. I have a black thumb. I’m amazed my herb garden is still doing well. Luckily for me, our little city has a little market for our local farmers to come and share their bounty. 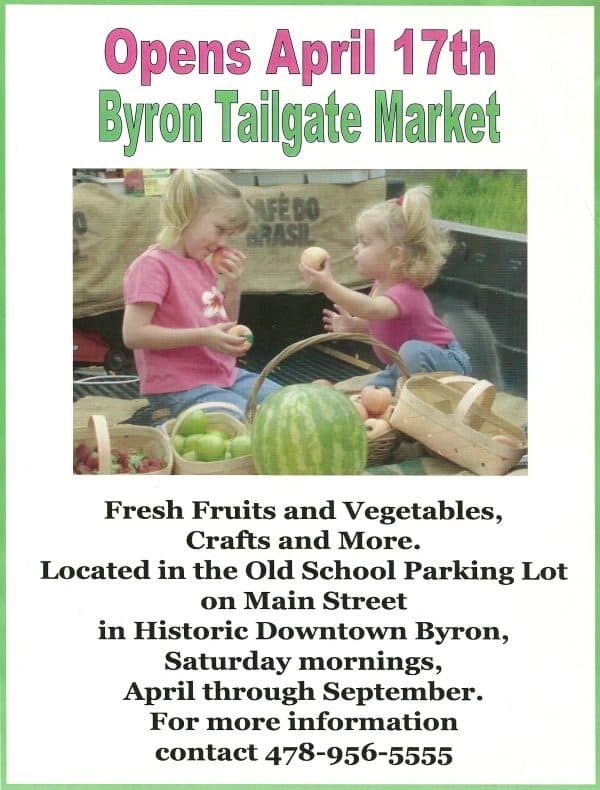 Sponsored by Our Better Hometown, it’s a fun way to get our local produce and chat with neighbors. Right now, we can get Yellow Squash, Cucumbers, tomatoes, Corn and if I get there early enough, new potatoes. There’s a vendor for peaches and one that makes Salsa. Fresh eggs and local honey. I started it back in 2004, when my babies were still babies. Our local farmers and backyard growers are some of the best people I know. So I’m happy to be able to support them. I have to tell you, for a kid who hated vegetables (except corn) I’ve turned into a grown up that loves them. Especially Zucchini. Put it in a casserole, add it to cake and muffins, saute it. But the absolute best way to have it is Fried. Pour oil in a medium frying pan to about 1/4 inch depth, heat oil over medium heat. Combine breadcrumbs and flour in a small bowl, stirring to combine. 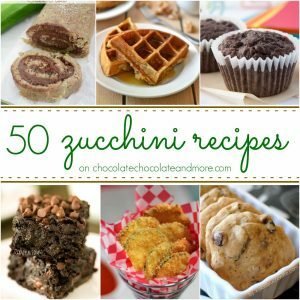 In a separate bowl, beat eggs and add in enough milk to create an egg wash.
Slice Zucchini into 1/4 to 3/8 inch slices, not too thick and not too thin. Dip slices in egg wash then coat in bread crumb mixture. Place coated slices in heated oil to cook for about 3 minutes on each side, until a medium golden brown. Remove to paper towels to drain and season with salt and pepper. Use caution, these will stay very hot for up to 30 minutes after cooking. Oh, I love a good Farmer’s Market. They are the best! 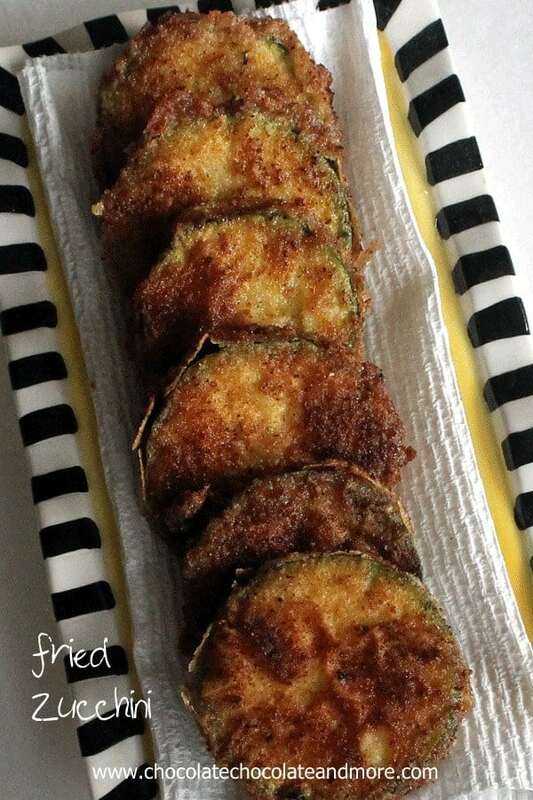 I love this grilled, but never had it fried. It looks delish…I will certainly have to try this!! Carrie girl, you have got to get out your frying pan! Trust me, we give each other the evil eye when we get down to the last one on the plate! LOL, Joan, I always say I have the black thumb of death!! Brianne, I’m just so glad I can get all the garden fresh goodness and not have to do all the work! Thanks for the love, great blog! Mmmmm…… fried zucchini dipped in ranch dressing. Yum! I am going to have to try this one. 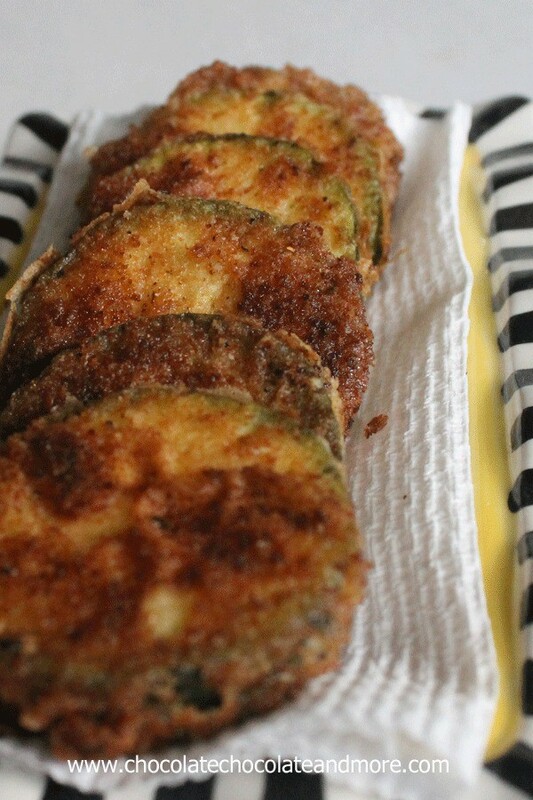 I have a fried zucchini recipe that calls for a batter – it’s good (fried zucchini is never bad 😉 ), but sometimes a bit greasy. And the batter doesn’t always stay on. I can’t wait to try your version. Thanks for much! 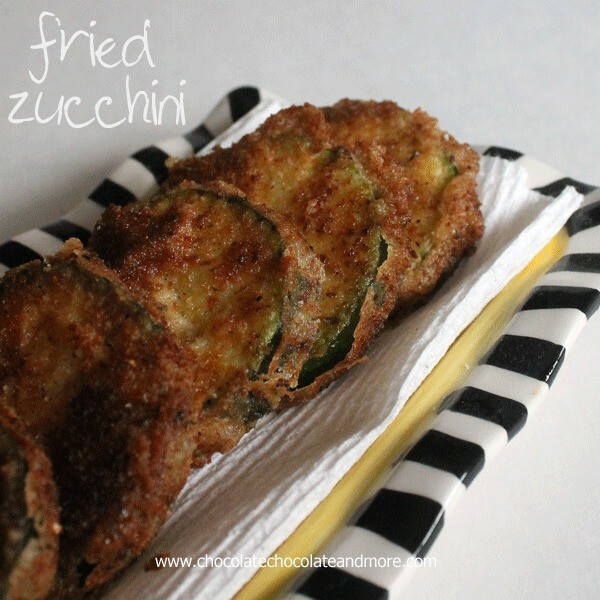 Vickie, I do battered Onion Rings but for Zucchini I like a little bread crumb in there. And these aren’t greasy at all! You know, I hate frying food but love eating it. 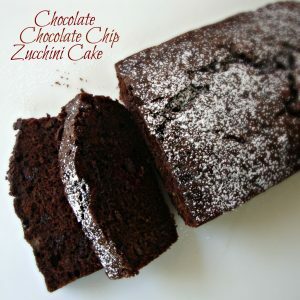 Zucchini is definitely something I cannot get enough of. Maybe if I have some hot oil already going, I’ll fry some up! Yum. This looks so good. We’ve had good luck growing zucchini. My grandpa was always giving away extra, too. On the seed packet it says, “Feed the neighborhood!” It’s so versatile and plentiful. Mmmm. Have a lovely day! Come on girl! I’ll fry, you’ll mix the drinks, we’ll have a good ole time! This brought back so many memories Joan! My mom used to make this ALL the time. My Dad just loved it! Your recipe looks really close to hers too – so fun! Can you give a nutritional count on this . I am on low-carb diet. Thank you!!! I’m sorry, I don’t track nutritional information but there are plenty of sites on the web that can do it for you if you do a quick search.